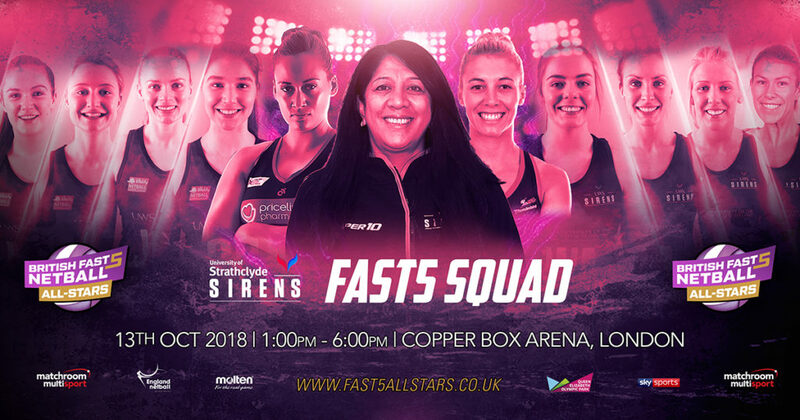 Newly named Strathclyde Sirens will compete in their debut British Fast5s All-Stars tournament on 13th October, and it’s incredibly exciting that the team’s two All-Stars players, Cat Tuivaiti and Gia Abernethy, will continue to compete for Strathclyde Sirens throughout the whole 2019 VNSL campaign. 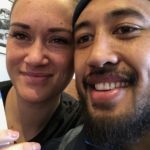 The competition will grant superfans the opportunity to see Tuivaiti and Abernethy in action for the first time at the Copperbox Arena in London. 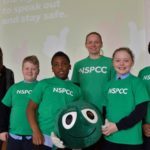 They will be joined by the formidable attacking force that is Captain Claire Maxwell, Bethan Goodwin, Nicola McCleery and Kelly Boyle. 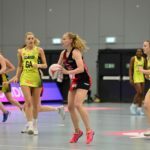 Lynsey Gallagher will sport the Sirens dress again for this competition, and defending trio Emily Nicholl, Ella Gibbons and Hayley Mulheron will also battle it out on the Fast5s court. Strathclyde Sirens, benecosMavericks, Loughborough Lightning, Manchester Thunder, Severn Stars, Surrey Storm, Team Bath and Wasps Netball will all compete for the £25,000 prize. The fast-paced format is comprised of a double elimination group-stage, with four of the eight teams advancing to the semi-finals. Each match lasts around 12 minutes, featuring an all-star 5-point line and a Golden Buzzer Power Play, giving teams the chance to score multiple point shots. Grab your tickets to watch Strathclyde Sirens in Fast5s action for the first time at www.fast5allstars.com.